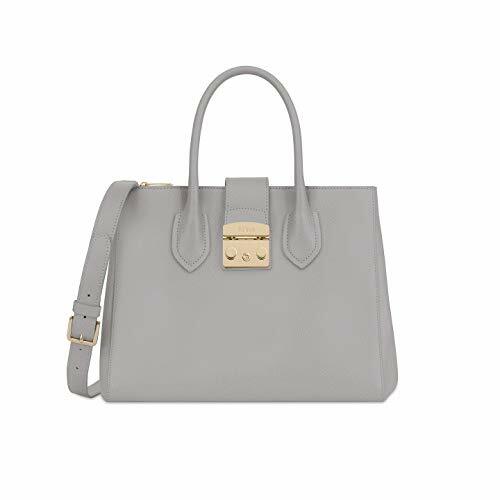 Furla Metropolis Ladies Medium Gray Onice Leather Tote 978103 | Accessorising - Brand Name / Designer Handbags For Carry & Wear... Share If You Care! Furla Metropolis Ladies Medium Gray Onice Leather Tote 978103. Product Descriptions: 10in (H) x 13in (L) x 6in (W). Features a flap with a pushlock closure with a side zip compartment, an interior zip pocket, 2 interior open pockets, double top handle, side press studs to adjust the volume of the bag, and an adjustable & removable strap. Light gold tone hardware. 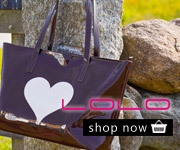 Medium sized gray ardesia textured leather tote handbag. Metropolis series. IMPORTANT WARRANTY INFORMATION: Please note that seller provides its own warranty for the products sold by seller; the manufacturer’s warranty may not apply to products purchased from this seller. For additional warranty related issues or information, please contact us directly.